AgigA Tech, Inc., a leading developer of Non-Volatile DIMM (NVDIMM) technology and solutions, and a subsidiary of Cypress Semiconductor Corp., today introduced the AGIGARAM®4 Memory Controller. The innovative ASIC targets JEDEC-standard NVDIMM-N products enabling significantly lower cost and power versus existing solutions, while offering advanced features such as encryption. During backup and restore operations, AGIGARAM4 manages the transfer of critical data between the on-board DRAM and NAND Flash. The highly configurable memory controller supports a number of memory vendors and specifications, allowing considerable flexibility for customers and partners. Samples and Reference Design Files for the AGIGARAM4 will be available to participants in AgigA’s Early Access Program (EAP) later this quarter. Interested parties should contact info@agigatech.com. AgigA Tech will be a Demo Sponsor at the upcoming Persistent Memory Summit on Thursday, January 24, 2019 at the Hyatt Regency Santa Clara. AgigA will be showcasing the AGIGARAM4 ASIC during the conference, as well as the other latest developments in its NVDIMM-N portfolio. 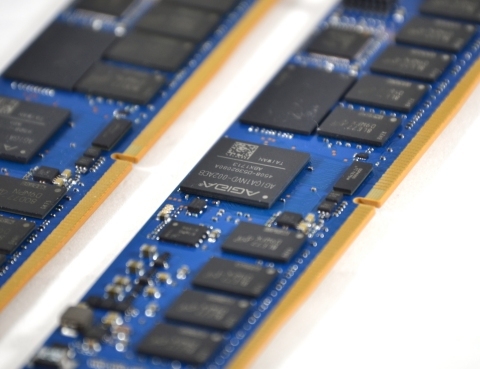 The NVDIMM-N standard defined by JEDEC offers a new class of non-volatile memory developed to meet the need for higher-performance persistent memory for enterprise-class storage and server applications, providing nanosecond latency with nearly infinite endurance of DRAM, along with the non-volatility of Flash. Enterprise and data center applications were previously constrained by the higher latency and software overhead of existing storage solutions such as SSDs, but they are now able to remove a significant system bottleneck with the deployment of NVDIMM-N solutions in their storage hierarchy. Headquartered in San Diego, California, AgigA Tech is a leading developer of high-speed, high-density, battery-free non-volatile memory solutions, and an early pioneer in the development of NVDIMM technology. The company's flagship AGIGARAM product family represents a new class of non-volatile memory created to address the fundamental need for higher-density, higher-performance memory in enterprise-class applications. AGIGARAM integrates NAND Flash, DRAM and an ultracapacitor power source into an innovative, highly-reliable non-volatile memory subsystem that can deliver unlimited read/write performance at the fastest DRAM speeds, while also safely backing up all data when power is interrupted. AgigA Tech is a subsidiary of Cypress Semiconductor Corp. The company’s products are available worldwide through the Cypress sales force and its distributor partners. More information on the company is available at www.agigatech.com. Cypress is the leader in advanced embedded solutions for the world’s most innovative automotive, industrial, smart home appliances, consumer electronics and medical products. Cypress’ microcontrollers, wireless and USB-based connectivity solutions, analog ICs, and reliable, high-performance memories help engineers design differentiated products and get them to market first. Cypress is committed to providing customers with the best support and development resources on the planet enabling them to disrupt markets by creating new product categories in record time. To learn more, go to www.cypress.com. AGIGA, AGIGARAM and PowerGEM are registered trademarks of AgigA Tech, Inc. Cypress and the Cypress logo are registered trademarks of Cypress Semiconductor Corp. All other trademarks are the property of their respective owners.